Time for a Chief Robotics Officer? What Would Made in USA Goods Really Cost? How much does Amazon.com lose annually on shipping? I can't believe it's been more than two months. In September, I wrote column titled An Inflection Point in the Consumer Goods to Retail Supply Chain? that a lot of people read, tweated and commented on. I ran out of space and promised a part 2, but a lot of other things got in the way and I am finally delivering that follow up this week. At least I made it before the end of the year. While Target, Walmart and maybe other retailers should be complimented for attacking part of the variability challenge, the other side of the equation also requires attention. In my view, the consumer goods to retail supply chain - the most prominent one we have - has been characterized by a high degree of variability since its inception. This variability occurs for a variety of reasons, as I will discuss in a bit. At the highest level, this variability has persisted because the effects are largely hidden. Is there a clear view of supplier variability and its connection to out-of-stocks on the retail shelf? Not really. Heck, much of the time with in-store out-of-stocks the merchandise is actually in the backroom, so if retailers can't connect those dots effectively, how can they connect OOS's to supplier and PO variability? Most retailers don't know how much of a PO a vendor actually shipped until an advance ship notice arrives shortly before the goods, and in some cases not until the goods arrive. That might be OK if the shipment was on-time and in-fill most of the time, but in retail it is simply not. Other sectors of course have supply variability too, a challenge exacerbated by offshoring, but nothing like retail. And most non-retail sectors have been working to reduce variability for years. Variability was one of the "3V's" (along with visibility and velocity) Art Mesher famously wrote about in the late 1990s while at Gartner , but I think most retailers missed that discussion. Meanwhile, I remember writing in the very early days of SCDigest how defense contractor Raytheon was using Six Sigma to substantially reduce supplier variability. Haven't exactly heard many stories like that coming out of the retail sector. Put that in your supply chain cap and ponder for awhile. A major regional grocery chain has about finished rolling out a highly integrated store-level planning system - among the most comprehensive that has been deployed by any retailer to date. Now that it has leaned out its own store-level inventory and replenishment planning approach, where is the inventory risk? "Vendor failure," it says. Now when a vendor shipment is late or the fill rate is less than 100%, the chance of an out-of-stock rises versus the previous approach, which had a lot more buffers - and the grocer is deploying a vendor compliance program not common in the grocery sector to reduce that potential vendor variability. In June, Tom Shortt, Home Depot's senior vice president of supply chain, was quoted as saying its stores should "Get comfortable with days of inventory, not weeks." HD is targeting sales growth of nearly 15% by 2018, but wants to keep inventory levels flat or slightly down. 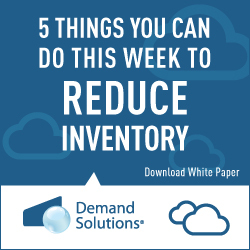 That Leaning out of inventory can only work if supplier variability is reduced, right? Also this past summer, Target's COO John Mulligan said the chain was going to attack the out-of-stock problem in large part by reducing "variability" in its distribution centers, especially with regard to supplier deliveries. Mulligan said that "An unacceptable number of vendor shipments were received by our DCs either too early or too late," adding that "We have been collaborating with our vendors to increase the percent of shipments that arrive on the correct date and we have already seen meaningful progress." That progress includes a 50% reduction in out-of-stocks for ecommerce-only items its DCs. A bit earlier, rival Walmart wrote in a blog post for vendors that it was reducing the window for which a shipment is considered on time from the current four days to just two, starting in February 2017. In addition, the fill rate requirement is being raised from 90% to 95%, measured at the case fill level. Failure to hit either metric results in chargebacks - a practice that Walmart was actually very late to embrace versus other retailers. (1)	Operational changes - retailers going more Lean and thus requiring reduced variability in terms of supply. (2)	What appears to at long last to be a recognition by some leading retailers that variability really is the enemy, and that it can be attacked by simply focusing on the problem as well as using the stick of chargebacks and enhanced performance metrics/supplier grading to reduce that variance in terms of vendor performance. All good, from my view. But is it that simple? Of course not. While taking the steps outlined outlined will help, retailers also create much of their own supply chain variability. It starts with the famous BullWhip Effect, first identified by MIT's Jay Forrester in the early 1960s, and then rediscovered in the early 1990s by Procter & Gamble and Dr. Hau Lee of Stanford. In great simplicity, the Bullwhip Effect refers to the fact the while actual consumer demand is generally fairly steady and predictable, for a variety of reasons (including simply a lack of supply chain discipline), orders to first tier suppliers and then their suppliers tend to be erratic and hard to predict. 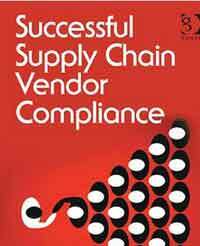 This of course presents those suppliers with real supply chain challenges. They could bulk up on inventories to buffet the order variability, but that is expensive. Retail vendors do some of that, but more often try to cope by madly shifting production schedules around and expediting - which only goes so far. The result (surprise! ): problems with on-time deliveries and fill rates, meaning high levels of variability from the retailer's perspective. But not only are the actual orders from retailers too vendors erratic - they in general do a very poor job even of forecasting those orders, though there is really no reason they could not do a much better job of that. This lack of visibility to future order flow is what spawned the Collaborative Planning, Forecasting and Replenishment (CPFR) "standard" (that's an overstatement) in the late 1990s. I suppose CPFR has produced some benefits, but clearly it never met early expectations - or much solved the variability problem in the consumer goods to retail supply chain. So while Target, Walmart and maybe other retailers should be complimented for attacking part of the variability challenge, the other side of the equation also requires attention. That means driving the supply plans truly from the shelf back by both parties, providing time-phased order plans such are commonplace in manufacturing but very rare at retailers (evolving into the concept of "supplier schedules"), and providing retail vendors the type of forecast visibility that Canadian Tire has admirably been doing for years for its retail suppliers. I am out of room, and will thus save that discussion for the last part of this series in early 2017. You will find some feedback below from part 1 that I think you will enjoy - would love some additional comments here on part two. What's your reaction to Gilmore's column? Why have retailers lived with high variability for so long? But are retailers really the cause of much of their own variability? Let us know your thoughts at the Feedback button below. Now posting most of the many emails we received on Dan Gilmore's somewhat controversial First Thoughts column on An Inflection Point in the Consumer Goods to Retail Supply Chain?, which discussed what seems to be an emerging trend by retailers to finally address rampant supply chain variability. Your point on the "Bullwhip effect" is well made and I would expand on it by saying that all variability has an inherently inbuilt multiplier effect. It is not just that but in addition there is the variability exacerbated by the time lags inevitably involved in information getting through. I also believe that data quality is a major cause of the problem. Not just in bad numbers but we simply do not define with sufficient accuracy what we mean by lead time, and other key indicators of performance so that we actually collect meaningful and accurate data. I challenge that when parameters are set for ordering systems whether sufficient statistical analysis is undertaken of the data being used, or, for example, whether the worst case scenario is preferred when setting lead times. Lastly we have a tendency not to let systems work their way through the analysis - we intervene, albeit with the best of intentions. Retailers have lived with variability for so long because it has been cushioned by lower and lower sourcing costs. Short lifecycle, or fashion, retail is high markup/high markdown, resulting in low single digit profitability and volatility. 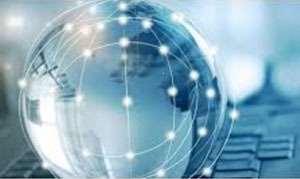 That must change because there is no lower cost option – no new China – and because speed and flexibility are now imperative to serve customers and to be competitive. This is playing itself out in front pages as "see now/buy now," executive changes and sector investment. For taste-makers, time-to-market is now their highest vulnerability, and they are no longer able to protect their exclusiveness of style, price and profitability by merchandising alone. It is a crisis in trend-driven short lifecycle products, and that is more than simply fast fashion. Industry transformation is upon us. Warren Hausman of Stanford University and I analyze industry change with what we call the "Zara Gap," as in opportunity gap. It is a measure of supply flexibility tied to market cap and it is a dramatic tale of competition, performance and potential. We also co-authored a related case study, now taught at Stanford. Citi Research is joining us to globalize the "Zara Gap" metrics (forthcoming), and one of America's foremost retailers is implementing the roadmap. There is much more to say, but I am writing to encourage your commentary. You are quite right to pick up a "sea change" in retail supply chain practices - and opportunity. Very interesting article especially since I've been on both the "supply side" (major consumer goods companies), and the "customer side" (national specialty retail), and there is definitely a difference in how businesses execute their plans. In 1997 (almost 20 years ago), after 20 years in consumer goods focused on optimization of the supply side to lower costs, I realized the significant differences between a consumer chain and a supply chain. With over 1400 retail stores (grew to 1600), and limited backroom space, our focus shifted to reducing inventory, improving flexibility of production operations, and strengthening relations with suppliers. Supply chains look backward in the chain while retailer look forward. One focuses on costs while the other is entirely focused on revenue. By working with the merchandising team, the supply siders became consumer driven and paid little attention to forecasts and began to understand sales build rates under different promotions along with seasonal selling. As technology changes and consumers look for more personalized shopping experiences with instant access to competitive product information, pricing, and coupons, the "supply chain" becomes a heavy burden and slow to move. For "one-time" purchases of promotional or seasonal products, exit strategies were developed before the first product shipped - result was significantly less markdowns. For all other products, production strategies were developed around reduced inventory, responsiveness to sales, and changes in promotional strategy. Every Monday evening, we reviewed sales performance for the prior week, especially promotional plans. If a decision was made to change a plan across all stores, a new plan was developed and reviewed by Wednesday morning and supporting products on the way as early as Wednesday evening. Depending upon store location, products arrive between Thursday and Saturday of the same week, while stores changed floorsets in preparation of new product arriving. The new plans were implemented on Saturday. A lost sale at retail, whether for an out-of-stock or a promotion not working perhaps due to a competitor program, results in significantly lost margin than the supply chain could ever achieve due to efficiency or negotiated pricing. With over 2000 SKU's on shelf, and because the ‘supply chain' for the retail side focused on daily unit movement across all stores while suppliers focused entirely on responsiveness to inventory changes, the business was able to reduce total inventory by tens of millions of dollars while simultaneously improving in-stock rates to 99.1% measured every Monday morning. And there were no chargebacks to vendors. Thanks for letting me comment. I look forward to more of your articles. Q: How much does Amazon.com lose annually on shipping? A: About $4.2 billion in 2015, representing how much more Amazon spent on shipping last year versus shipping revenue from customers. So, the number should be well above $5 billion for 2016. They were $1.7 billion in Q3.